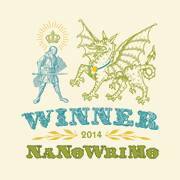 I finished writing my NaNo novel. So . . . anything else I write from this point forward is just gravy. Yeeeeah . . . that last one may not seem too important, but you don’t understand (or maybe you do? ); Jessica Jones is almost as good as Daredevil and I can’t—CANNOT—stop until I’ve watched all 13 episodes. I’m on episode eight right now, I believe. That means I still have a way to go before I get to the end. Then, and only then, will I be able to properly focus writing. So yeah, sorry folks. Words are happening, but nowhere near as rapidly as they were at the start of the month. 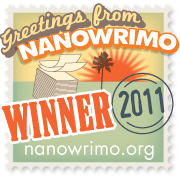 Aside | This entry was posted in Dead And Alive, NaNoWriMo 2015, Other Writings and tagged daily update, Ileandra Young, NaNo2015, NaNoWriMo 2015, other projects, slowing down, word count. Bookmark the permalink.